On Tuesday 4 April, we're having our regular #triskeletuesday Twitter chat. The theme is #underratedbooks. These could be lesser-known works by famous authors, undiscovered gems or simply a book more people should read. In preparation for Tuesday, we reached out to some of our favourite people and asked them to recommend some underrated books. Here are the results. 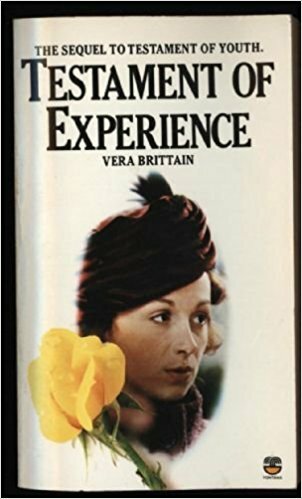 Testament of Experience by Vera Brittain. Sitting in the deep shade of Testament of Youth, this book sets a female perspective on British politics and social history between 1925 and 1950, and is actually better; more mature, less floridly romantic and more historically analytical. My eye was caught by Marko Kloos’ FRONTLINE series, recommended as Heinlein-esque. Now as Heinlein is one of my much loved authors I tried the first of the series and then promptly sent for the remaining four. 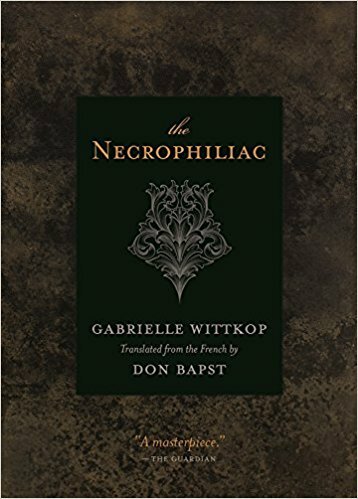 The Necrophiliac by Gabriele Wittkop. 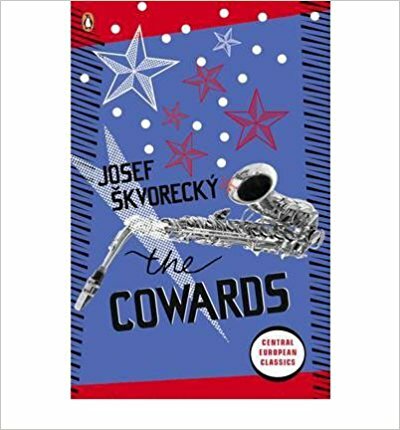 This gem was originally published almost half a century ago but has recently received a new translated edition. 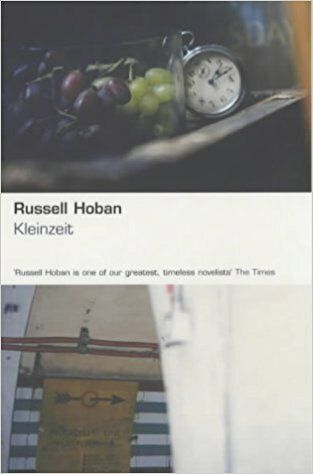 As is so often the case with books that are unique, it is almost impossible to describe, but I could attempt by saying this is the kind of book Perfume could have been had its author had a keener aesthetic and emotional sensibility. Revolting and shocking precisely because nothing about it is either revolting or shocking, yet it manages to treat such difficult subject matter exquisitely without ever veering to the tacky, the lurid, or the sensational. One of the few books I've read that made me think "I genuinely don't know how you did that but I will dedicate myself to learning." Which #underratedbooks would you add to the list? Let us know on Tuesday, 19.30 - 20.00 GMT. Just log onto Twitter, search for #underratedbooks and join the conversation. Here's the latest - in fact the last! - in our Author Feature series, on why we appreciate JD Smith. While historical fiction often comes in hefty tomes, Jane’s novels are pared right down, homing in on the stories of one or two individuals and creating their worlds with a few deft touches of the pen. She uses simple, unfussy language that feels timeless. While the story of Zenobia, Warrior Queen is epic in its scope, Jane delivers it in serial form, each element a small gem. 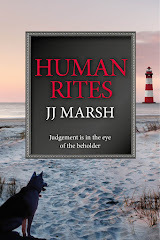 JD Smith is not only a novelist, but also a highly sought after cover designer. She has created the whole Triskele ‘look,’ from the logo on, as well as designing covers that establish distinctive brands for each of us as authors. She has an instinct for understanding what it is an author wants, and then delivering it with panache. And as if that wasn’t enough, she is also the founder of and the power house behind both the literary e-zine Words with Jam and the review site, Book Muse UK. 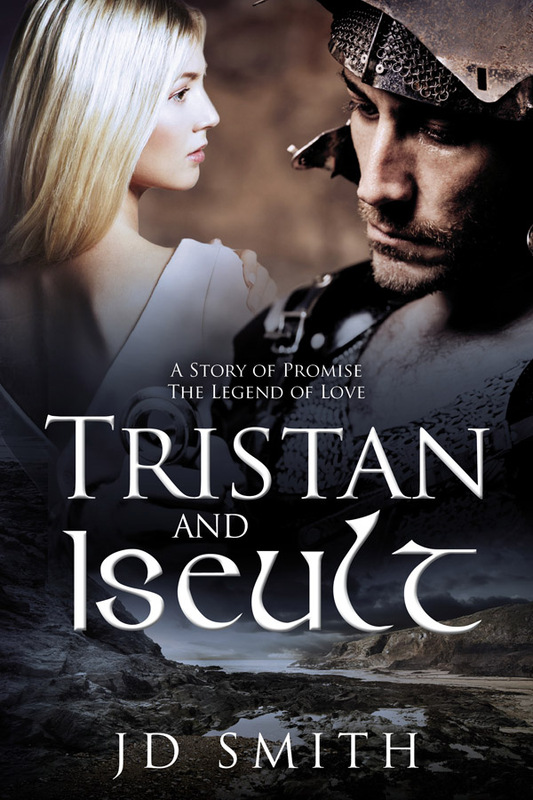 "The legendary sad tale of Tristan and Iseult told with spare, crisp prose, keeping the story taut and short. Very evocative of the time period with no sentimentality brought from the present day. A haunting melancholy of unfulfilled longing peppers every page and the brutality of that age is shown with unsparing detail. The imagery is immediate and vivid of each location, whether salt laden coast or the wet greenery of Wales. A recommended read if you want to understand why this famous legend has stood the test of time." Jane has an outstanding talent for her organisational approach to life, and when you know exactly how much she handles on a daily basis, you can understand why! Her design work is professional and polished, and her eye for detail is pure magic. I don't think Triskele Books would have had the same success, certainly in terms of branding and reputation, without Jane's creativity. I can't think of a time any of us have ever disagreed with her input on the design front. And we have all been blessed with praise for our individual covers. Professionally, she has years of success ahead of her, and her reputation will continue to grow. From a writing perspective, I think it's totally brilliant that Jane has the opportunity to write what she loves, and that passion shines through in her writing. In Zenobia, Queen of Palmyra, Jane has brought to life a character lost in the mists of history, and she manages to make all of the trials and hardships that come with writing historical fiction look effortless. I admire her enormously for taking on such a challenge and creating such a brilliant series of books. She also has an editorial eye that is another huge attribute within the Triskele team. And let's not forget she created the e-zine Words with Jam from scratch and continues to manage that in between her other work. Add to that three adorable children any parent would be proud of - and I often ask how on earth she manages to juggle it all - a talent in itself! "From the beginning I was drawn into an ancient world, a world of hostile environments where only the daring survive. And into this harsh and often brutal land, comes Zenobia, a warrior queen who dares to take on the might of the Roman Empire. 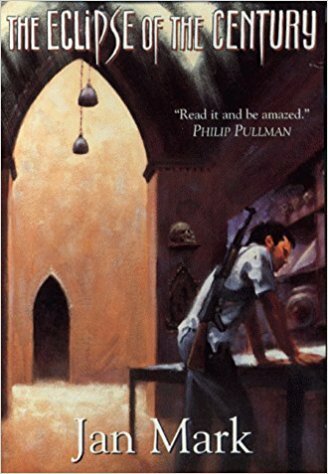 Based in Palmyra, (modern day Syria) in the 3rd century and mixing scanty factual evidence alongside pure fiction, the story of a brave and bold warrior is told in easy to read segments and with a lightness of touch this story of intrigue and political skulduggery comes gloriously to life." "There are some twists in the story, moments of great poignancy, of violence, of triumph and of loss. 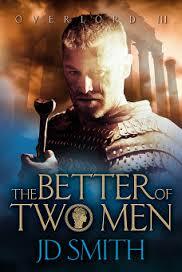 Based on actual history and added to and blended beautifully by the author, this is a gripping read. It's scale is epic. 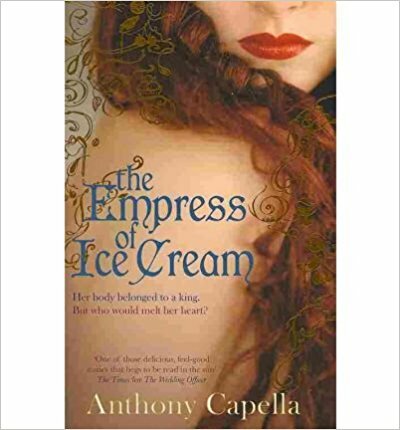 It leaves the reader satisfied, but also wanting more - more of Zenobia who's shaping up to be quite a warrior queen and more of all these wonderful vivid characters and places." The remarkable thing about Jane's Overlord series is how she can transport you right into the middle of a battle or draw you to the heart of political manoeuvering, complete with smells, textures, tastes and tensions. You feel you are there. 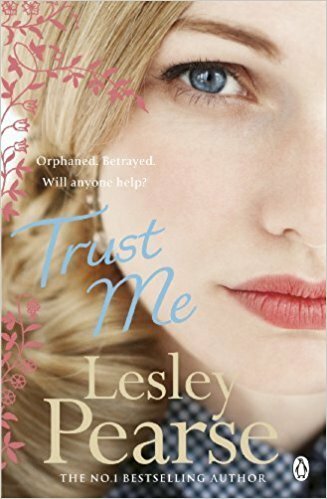 Her writing is both beautiful and sensory, but nothing is sanitised for modern sensibilities. She excels in atmosphere, whether that is a Cornish beach or the Syrian city of Palmyra in the 3rd century. Some scenes from Tristan and Iseult have stayed with me for years. I secretly believe she would make an extraordinary screenwriter but Hollywood can't have her because she's ours. 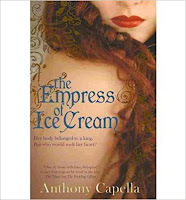 Her talents extend beyond writing superb historical fiction. She is the design mind behind all Triskele's covers and in fact our whole image. She combines an awareness of the market with an intelligent visual eye, working in harmony with her clients to achieve their dream covers. Small wonder she is so successful. "Sometimes the best story about a figure that looms large in history is told through the eyes of another; this is something that the late Mary Renault did to perfection in The Persian Boy, and J D Smith does it here. It really felt like it worked as a narrative choice, to tell the story of an extraordinary historical woman from the perspective of a man who was close to her. I found myself appreciating that angle on it." "Make no mistake, this is mature and assured writing. In the space of the opening paragraph, JD Smith will transport you to Roman East in the third century where you will follow in the footsteps of Zabdas, whose duty it is to stand by the side of his half-sister, Zenobia." "What J.D. Smith does with historical fiction is to take it one step further. She makes you feel – feel what it was like to exist in that place and time, feel what the people who lived then went through emotionally, mentally, and physically. She picks you up and plunks you right in the middle of it so that you get the real experience of the characters’ lives with her vivid descriptions and her ability to make you feel the emotions of the characters." Jane’s professional skills as a talented designer are invaluable both for myself and for Triskele as a collective. Designing and setting up our website and blog, as well as the Bookmuse and Words with Jam sites, sending out regular newsletters and basically taking care of all our technical stuff is a real relief for someone like me who finds that side of things challenging. Jane is always there with a prompt answer or solution for my many silly “techy” questions too. I also appreciate her taking care of my own website design, as well knowing that, in her designs, I have the best book covers possible. One in particular comes to mind: Blood Rose Angel. For ages I tried to get that “B” right, searching for something medieval, striking and elegant. Eventually, the “B” that Jane painstakingly created was stunning, and exactly what I had in mind! I also value Jane’s critiquing skills. 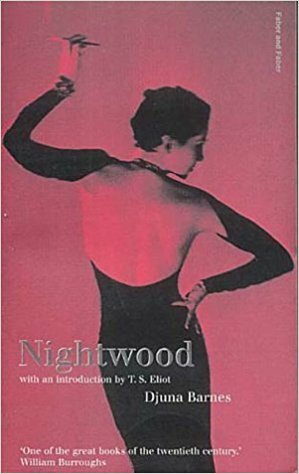 Succinct, and straight to the point in her own lyrical prose, she is quick to “red pen” any of my paragraphs that tend to lapse into purple prose. Ten tips towards creating believable, interesting and functional dialogue in fiction. ... spend time listening to how people speak. Eavesdrop on conversations and identify speech markers you can steal and attribute to your characters. Think of five people you know well. What makes their manner of speaking distinctive? ... cut the fluff. Real speech is full of irrelevant filling, so trim to the good stuff. Dialogue should sound natural but far more interesting than reality. 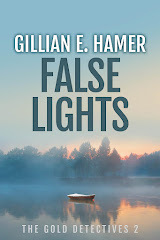 Here’s an excerpt from False Lights, by Gillian E. Hamer. ... make sure the dialogue serves a purpose. Pages of realistic sounding dialogue is laudable, but what is its function? Character development? Backstory? Plot point? ... read and/or act out the dialogue. Record yourself and listen again later. 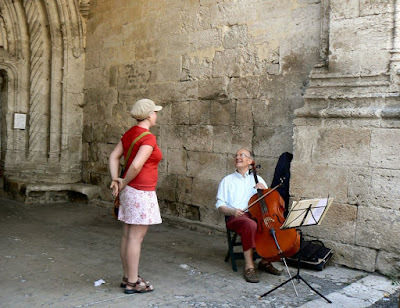 Is it rhythmic and flowing or does it sound like the school play? Are long sentences broken up with shorter exchanges? What are the characters doing at the same time? ... pay attention to how characters change tone when talking to each other. We all have different ways of speaking when in conversation with good friends, total strangers, a new boss, a small child. ‘All those stories, just to scare you into not swimming,’ Ghislaine said with a laugh. ‘Not that his scary tales ever stopped you two,’ said Miette. ... fall into the ‘As you know, Bob...’ trap, otherwise known as stating the obvious for readers’ benefit. Characters telling characters what they already know is an awkward device lumped in with excessive use of names. Listen to real-life conversations. How often do people need to say the name of who they’re talking to? Hardly ever. ... overdo accents and verbal tics. A whole book in which a character speaks in an extreme accent is irritating and unnecessary. Readers are bright enough not to need every word in dialect, so a gentle smattering here and there is sufficient to evoke the sense of speech. It was a routine he could have done in his sleep. The two of them had been sparring since, as lone desis, they’d gravitated together at art school. ... annoy readers with ‘I have a secret’ type of dialogue and or bore them with information dumps. Your audience doesn’t want to feel excluded from what the characters are talking about, but intrigued. Neither do we need a whole life story in one monologue. Drip enough info to keep people curious but not enough to bore. ... forget about tags. Dialogue attribution is essential, especially in scenes with several speakers. Stick to said, asked, told and steer clear of qualifying adverbs. None of this nonsense: "Really? I don’t believe it!" ejaculated Gloria breathlessly. But feel free to add action so that the attribution is unnecessary. Excerpt from Tristan and Iseult, by JD Smith. Iseult of the White Hands comes into the kitchen. She carries a pail of water. She ladles a little water into a bowl, sits down beside me, bathes the scratches on my body. There is little tenderness. Just a methodical need to clean the wounds. She purses her lips, disapproving. It has been a long time since her lips curved and her scowl relaxed. ‘You should take more care.’ She wrings the cloth in the bowl, leaves the table. One more point. Read plays or film scripts. See how much weight dialogue can carry. Human beings are experts at decoding what words, intonation and expressions mean and forming opinions as a result. When it works, good dialogue can act as both laser surgery and dynamite. Over the past few months Triskele Books has been home to a series of author features. Now, it is our great pleasure to focus the spotlight on one of Triskele's founder members, Gillian E. Hamer. A Company Director for twenty years, she has written obsessively for over a decade, predominantly in the crime genre. She has completed six full length novels and numerous short stories. After completing a creative writing course, she decided to take her writing to the next level and sought representation. She is a columnist for Words with Jam literary magazine, a regular theater goer and avid reader across genres. So, what makes Gilliam such a valued member of Triskele Books? Liza Perrat: Suspense is Gilly’s forte, in her page-turning crime thriller novels. She also has an incredible knack for creating baddies so scarily well that sometimes I wonder what’s going on in her mind! She has also brought to life the island of Anglesey (off the north-west coast of Wales), for me. So much so that it’s now at the top of my to-visit list. I appreciate that Gillian takes care of the financial aspects of Triskele Books. It’s great to have someone you can totally trust with the finances, providing summaries and reports of all our financial dealings. Gilly is also our SM girl. That’s social media in case you were wondering! 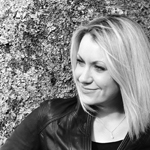 She shares all our blog posts, images and comments across a wide range of social media. And not forgetting her excellent, multi-tasking skills during our fortnightly #triskeletuesday Twitter chats! Finally, I highly value Gilly’s critiquing skills. If something isn’t working in my story, she’s not shy about letting me know. No false compliments, just the cold hard truth, which is what every author needs to produce their best work. JD Smith: Gilly is a hugely valuable member of our team. She's committed, forward-thinking, determined and passionate about our collective. 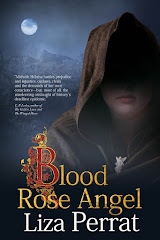 She's also a talented writer of not only crime but historical fiction, and I admire her enthusiasm for periods in history such as the Roman era which are close to my own heart. I love the weave of these time periods in her books. It gives them an edge that I find so often lacking in popular crime stories. Catriona Troth: Gillian’s books are set on the island of Anglesey in northwest Wales, which also happens to be where my mother’s family are from. 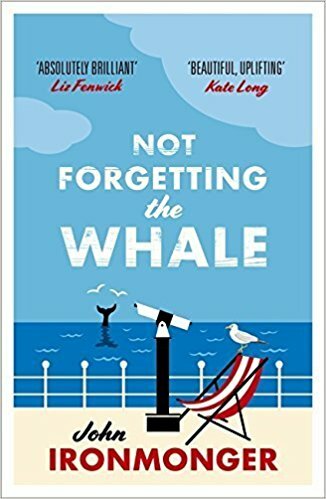 Her books are interwoven with the history, geography and myths and legends of Ynys Mon (the island’s Welsh name), and every time I open the pages, I am swept back to the lanes around my grandmother’s house, to the rocky coasts, the treacherous straits that separate the island from the mainland. But don’t be fooled by the picturesque rural location into thinking these are ‘cosy crime’ stories. These novels are as gritty as the island’s often bloody history, and she doesn’t shy away from portraying Anglesey’s present day problems with poverty and drugs. In Gold Detectives, eschewing the crime fiction stereotype of the ‘lone wolf’ detective, Gillian has created an ensemble of characters, with their own strengths, weaknesses and quirks. This is a team of believable people we get to know and like, and each book in turn brings another of the team to the fore. Gillian is the director of a small business, and within Triskele, she acts is our finance manager, holding the purse strings and bringing her business head to ensure that what we do brings a commensurate return. She is also our Social Media guru, managing our Twitter and Facebook pages and juggling (with surely more than just the usual ten fingers!) several accounts simultaneously as we hold our fortnightly #TriskeleTuesday twitter chats. 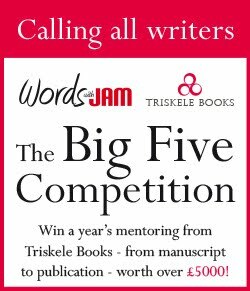 JJ Marsh: When first planning Triskele Books, the author collective, we knew we needed a lot more than good writing. Triskele works just like a small business - you need vision, commitment, strategy, vision and financial nous. Gilly brings all this to the table in addition to a creative imagination. She works hard at everything she does and insists we all reach as high as we ought. Her books are beautifully crafted, her critical analyses are spot on and she ensures we all pull our weight. She's a rare individual - a sharp business mind with a deep well of imagination. We'd be lost without her. 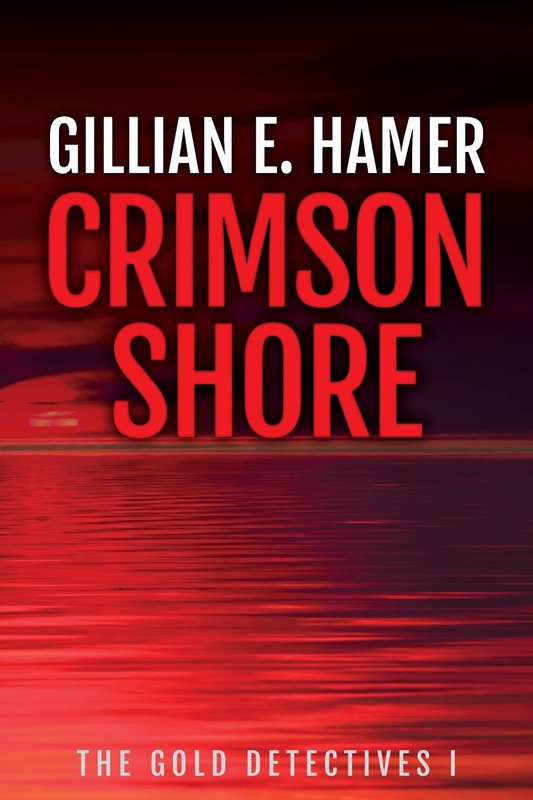 "Once again, Gillian Hamer brings ancient history to life with beautiful, lyrical imagery." 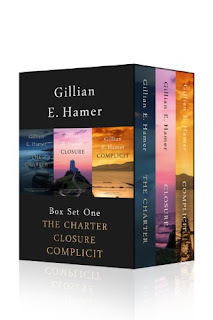 "When you love a book as much as I loved The Charter by Gillian Hamer, you always approach the next book with trepidation. I needn't have worried - her latest, Closure, is even better. It begins as two separate story threads - a serial killer targeting students at Bangor University, and the work of North Wales CID to track him down, and the seemingly disconnected story of Jake, a child experiencing horrifying dreams triggered by a past life. 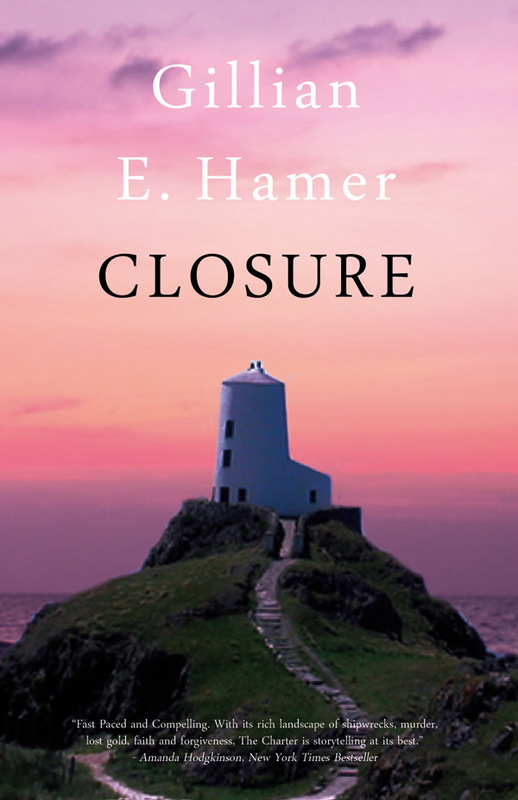 The stories converge as the pursuit of the killer heats up, and the story - a superb mix of police procedure and the mysteries of reincarnation - builds wonderfully set against the beautiful Anglesey setting. 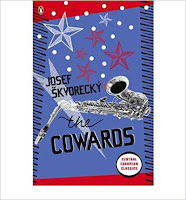 The author very deftly weaves the different elements together, with well-rounded characters and a masterful building of tension, with some tremendous nail-biting moments. I really couldn't put it down, a fantastic read. 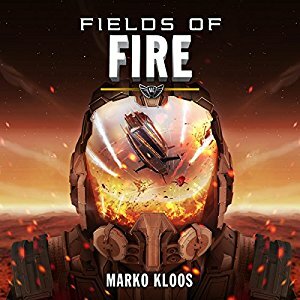 We get to know the police team even better in this book, and this has the makings of an excellent series of which I eagerly await the next episode." "This is the second book I've read by this talented author. Like her first novel, The Charter, Gillian returns to the familiar territory of the rugged Anglesea coast. This is a darker tale than Charter and, in many ways, a more complex one as well. We have two separate but intertwining stories. The first features Helen West and her six year-old son, Jake, who is suffering from terrible nightmares. But are they more than that? And how can the be linked to the series of killings in and around Bangor University. With great skill, Gillian draws these two very different threads together and gives us an extremely satisfying crime story with a spooky twist in the tale. Rich in atmosphere, dripping with suspense and full of memorable characters, this is one you won't forget in a hurry." "Hamer brings Anglesey alive, doing to the island what Rankin does to Edinburgh, what Dexter did to Oxford. She also gives us three-dimensional characters, with their necessary human failings and weaknesses. The tension never slackens, the suspense never falters. Here is a new crime writer with a new set of detectives. If you thought the world of crime-writing was already overcrowded, think again. 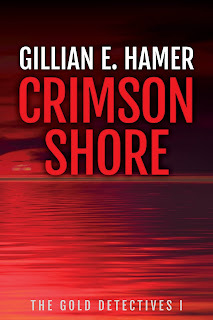 Gillian Hamer is one to watch, and her novel is one to read." "What a great debut to a new series. As with all the author's previous books, I could not put this one down. I stayed up late finishing it and was not disappointed ... 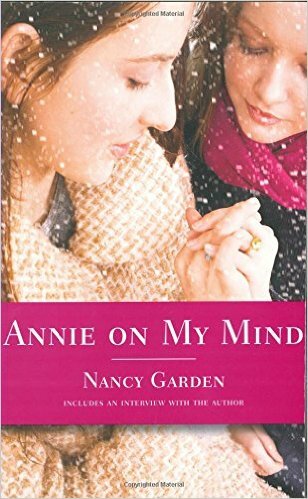 I would highly recommend this to anyone looking for a well written mystery and also highly recommend her other three books. They won't disappoint." On Tuesday 28 February, our regular fortnightly #twitchat took the subject of #futureclassics. It was a lively affair, with so many intelligent contributions that several people asked for a summary. Which books or authors of the last ten years will you re-read? And why? As for future classic authors: Iain Banks, David Foster Wallace, Roberto Bolano, Arundhati Roy, Chimamanda Ngozi Adichie, Sarah Waters, Terry Pratchett, Eimear McBride, Margaret Atwood and Neil Gaiman received general approval. Are today’s bestsellers future classics or flavour of the month? Is genre fiction as likely as literary fiction to become a classic? Strong feelings on this one as participants felt strongly about Wolf Hall by Hilary Mantel, and various works by Ian Rankin, China Mieville, Emily St John Mandel, Becky Chambers, Mary Renault's Alexander books or Pat Barker's Regeneration trilogy. Suggestions included Sharon Olds, Steve Roggenbuck, Claudia Rankine, Seamus Heaney, Simon Armitage, Geoffrey Hill and Linton Kwesi Johnson, even if not all were in agreement as to classic status. Classics often help us see the world differently. Which contemporary works have done that? Mentions of Margaret Atwood, Neil Gaiman and Murakami's Wind-up Bird Chronicle while Dan Holloway made the point that non-fiction books might be future classics: Malcolm Gladwell's Tipping Point and Freakonomics; Naomi Klein's canon and poetry of Claudia Rankine's Citizen. Will #futureclassics encompass a more diverse range of experience? 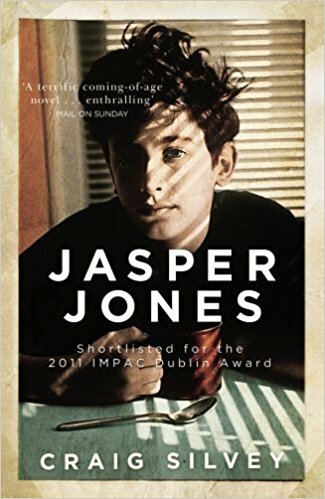 Recent examples, not only of authors but initiatives, cropped up, including Javier Marias' The Infatuations, Marlon James, Sapphire, Citizen, the Jhalak Prize, VIDA Lit and the Bare Lit Festival. Use either hashtag to find us, join in and let's talk!